Written and Directed by Joel Hopkins. Starring Pierce Brosnan, Emma Thompson, Timothy Spall, Celia Imrie, Louise Bourgoin and Laurent Lafitte, The Love Punch, follows a divorced couple who scheme to recover the retirement money that was stolen from them. Richard and Kate are a divorced couple who have an amicable relationship. Richard who’s about to retire learns that his company’s assets have been frozen because it’s under investigation and that includes the pension fund. When the owner goes out of the country, Richard decides to pursue him and Kate goes with him. Shot entirely on location in Paris, and Coye-la-Forêt, France. 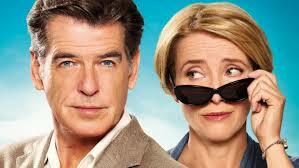 The divorced couple, Kate and Richard, are played by top British actors Emma Thompson and Pierce Brosnan. To assist with their crazy adventure they enlist the support of their best friends Penelope and Jerry, played by Cecilia Imrie and Timothy Spall. Their departure from Surrey to France sets of a madcap series of events in this brilliant screwball comedy. This Anglo-French collaboration, set largely in Paris and Coye-la-Forêt, has everything you’d want in a great film. 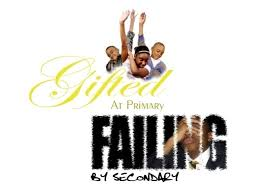 First and foremost it features a great story, wonderfully and humorously told. Furthermore, the film is replete with great drama, dialogue, comedy, romance and edge of the seat thrills. Above all there is a tremendous feel good factor about the film. You’re interested in, care about the characters and want to know what’s going to happen next. There are so many unexpected twists and turns in it creating that screwball comedy experience. I have to mention too that Paris and Coye-la-Forêt look breathtakingly beautiful which richly adds to the enjoyment of the film. The relationship between Kate and her young, French beau might have been explored a little more as it’s almost a side issue, but a key one too. It was fantastic to see a British film, starring mature actors, acting out a mad cap adventure more typically acted by much younger American actors. It was something refreshing too, that it was a true family, yet adult themed film. There was no swearing, explosions or sexual content that would make you blush or cover the children’s eye and ears. The Love Punch was easily one of the best films I’ve seen in years. More of this type of fim please film writers and directors. I hope this film wins many BAFTA’s and OSCAR’s when the film awards are next handed out. If you have watched the film we’d love to read your opinion on it. Feel free to post your comments directly onto our blog. Do you think we need more British films like this? Do we need more films starring the mature actors doing your typical American high school japes adventure? Follow Tiemo on Twitter and sign up on this blog to receive the latest Tiemo Talk of the Town reviews and blogs. This entry was posted in Comedy Reviews, Film Reviews and tagged ceclia imrie, emma thompson, joel hopkins, pierce brosnan, The love punch, timopthy spall. Bookmark the permalink.